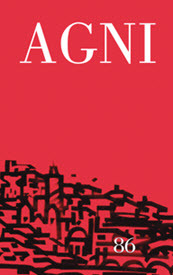 Description: AGNI is a literary magazine at Boston University with an online extension, AGNI online. It publishes poetry, short fiction and essays. Rights: AGNI buys first North American serial rights for the print magazine and first worldwide serial rights for the online magazine. Payment: See guidelines for current rates. Tips: You can read a note about submissions from Editor Sven Birkets here. You can also read an interview with AGNI Senior Editor Bill Pierce here on The Review Review. How to Submit: AGNI has an online submission manager for both the print and online versions. You can also submit by mail. Do not email your submission. They accept unsolicited manuscripts between September 1st and May 31st. Simultaneous submissions are acceptable but notify them immediately if the work is accepted elsewhere.